Even though I often hear comments of “there’s not much to do in downtown…” I get disappointed. 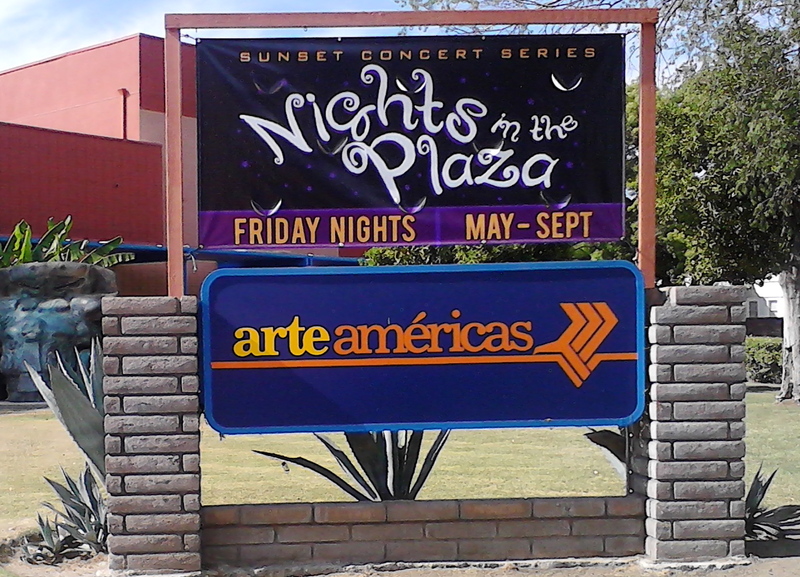 There is always something going on whether an activity at the Pacific Southwest building, a public event at Arte Americas museum, a concert at Frank’s Place or a great show at Warnors Theatre. 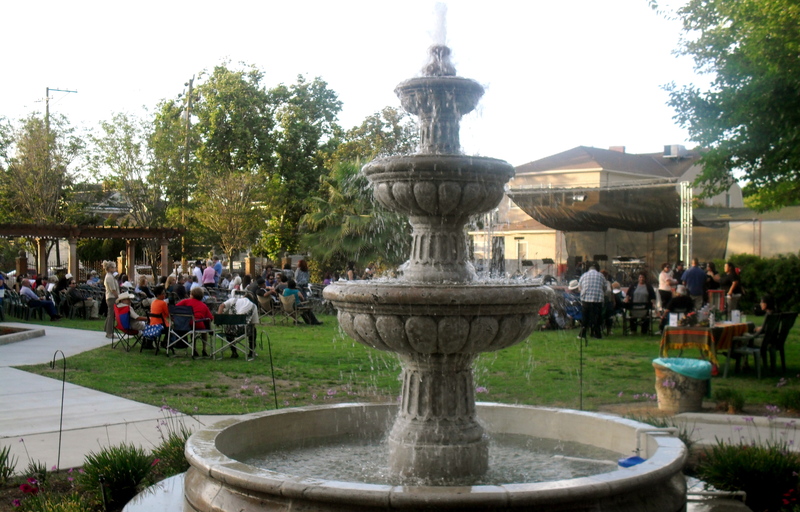 This summer don’t stay home or get bored to death, but get out and enjoy an event in downtown. I’m sure it will be a memorable one. Here are a couple suggestions so you can mark your calendar! Take my word, get out and have a good time. Don’t chill in your comfy place, but instead try something different, affordable and enjoyable. First of all, have you tried Ooh De Lolli Ice Pops (paletas)? They’re just good. Donna sells all kinds of pops like the Vegan friendly pop or peanut butter chocolate, avocado, cantaloupe cream and she even has an “Elvis” one, peanut butter sandwich. She offers different flavors for all to enjoy. I personally like the “Watermelon Cilantro,” good one for this summer season. You’ll find Donna at CartHop every Friday on Eaton Plaza (water tower area) from 11-2pm. 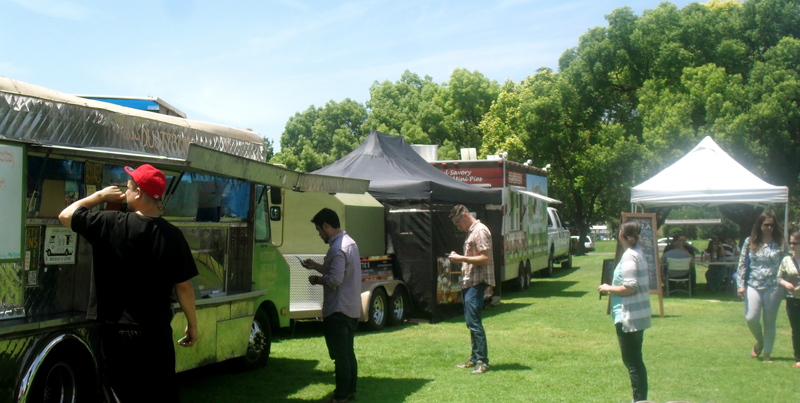 I’d suggest you plan a lunch out, buy a meal from local food trucks like Dusty Buns, Tako BBQ, Matie’s Pizza, Benaddiction and sit in the amphitheater or Water Tower area and simply enjoy your cool paleta or a tasty sandwich. 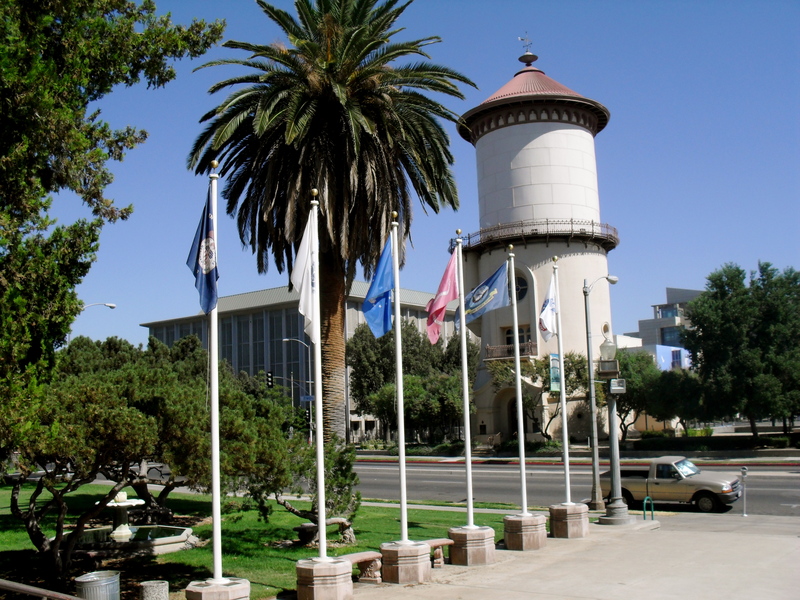 If you decide to sit in the Water Tower area, make sure you visit the Water Tower. The structure is a historical place one must visit in town. You’ll find great art pieces and crafts from local artists in the Fresno area. You will also find information about places to visit throughout California. You’re welcome to stop by, ask questions, and buy a local item. And back to Donna’s pops. You can also find her at Bella Frutta, weddings and parties. 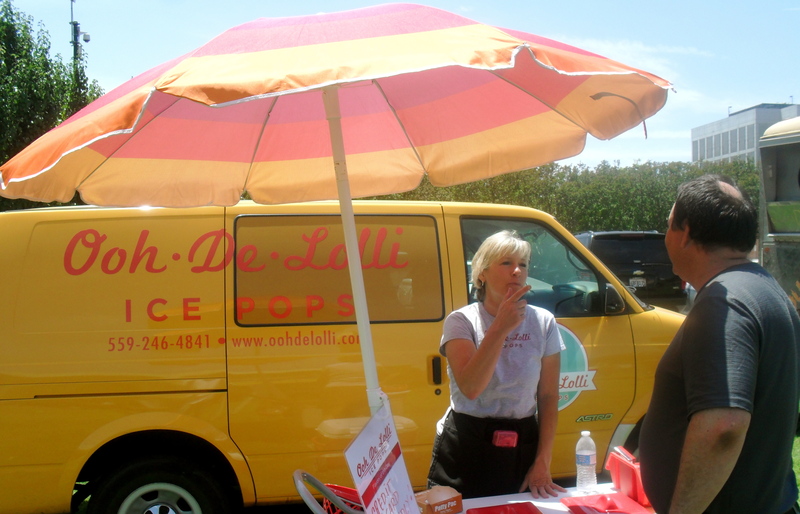 Yes, if interested in offering paletas for your event make sure you consider Ooh De Lolli pops. Stay tune, she tweets and announces her location on face book. And this summer, make sure you plan a Friday evening night out at Arte Americas museum. 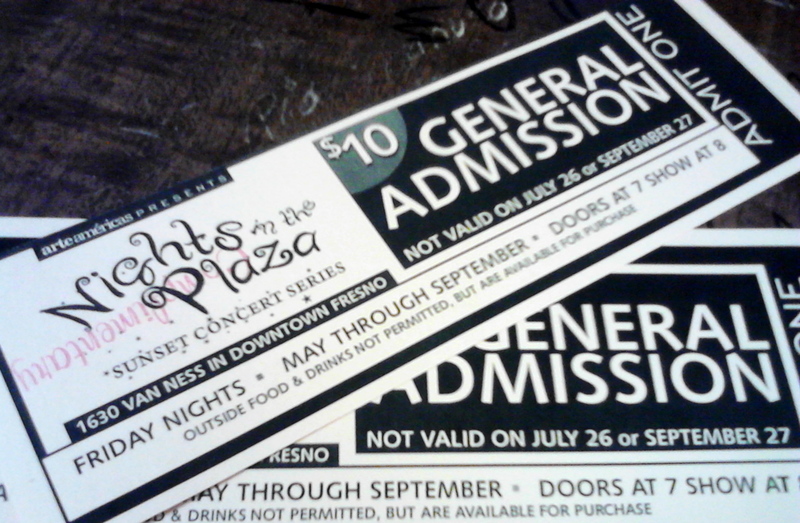 Nights in the Plaza Sunset Concert Series started May 24th and will extend through September 27th. There are many upcoming shows you can’t miss like this weekend June 14th. Experience Motown soul combined with funky jazz fusion and danceable R & B grooves. Group features will be Ray Moore, Pat Olvera, Eva Scow, and Mike Taylor along with a full horn section and guest cameos! Although if you’re a Rumba dancer, June 21st will be you’re night, Rumba 32. Blue J’Z on July 5th, Force ‘Em on August 9th, Romance Night, August 30th, Fiesta Mexicana September 13th and many others. And while you’re there, visit the “Triangulo Exhibit” and shop at the (tiendita) Mexico Magico, various art pieces from Latin America and Mexico. If interested, you can take your own comfy chair too. For more information about events check the website. Now, if you have been thinking about filming your own project or be able to start your own show, then there’s an affordable resource in Downtown Fresno. 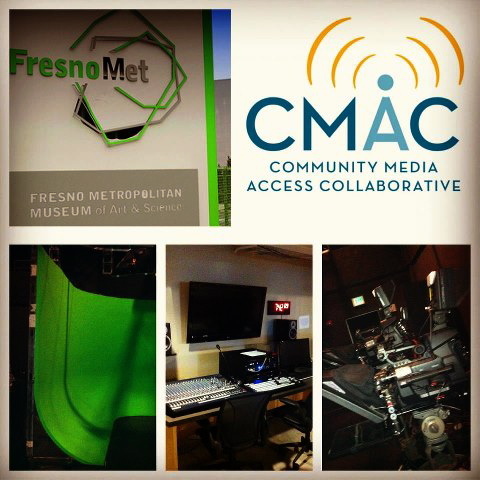 The non-profit Community Access Collaborative (CMAC) is committed to putting the power of media to work at the grassroots level. CMAC offer access to top quality tools, training and other resources designed to empower the voices of our community. The Community Media Center is a 900 square foot High Definition (HD) video production studio, access to 3 channels on Comcast and AT&T u-verse systems, has editing suites for all your post production needs and offers much more. You can create and share performances and cultural events, community news and information, education and training, discussion and debate, independent and student film/video, outreach and promotion. Get involved and start working on your project plus there are affordable memberships and self service and full service production. Oh, one more thing, take advantage of the Mobile Production Vehicle too!